San Francisco, CA is one of the most beautiful cities in the states. 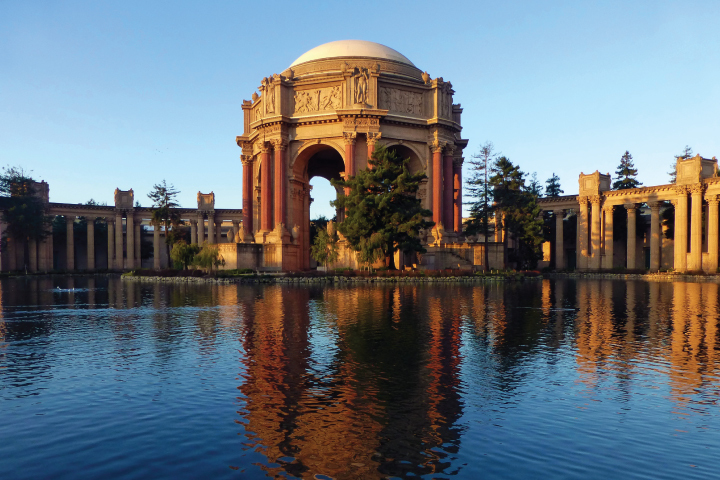 From the majestic Golden Gate bridge to the tourist filled Fisherman’s Wharf, there is something here for everyone. 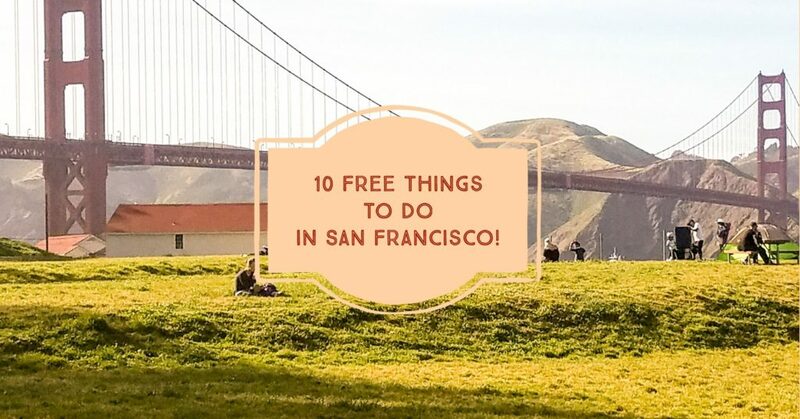 This is a VERY expensive city but there are plenty of free things to do! You can get amazing shots from the West Bluff Picnic Area! 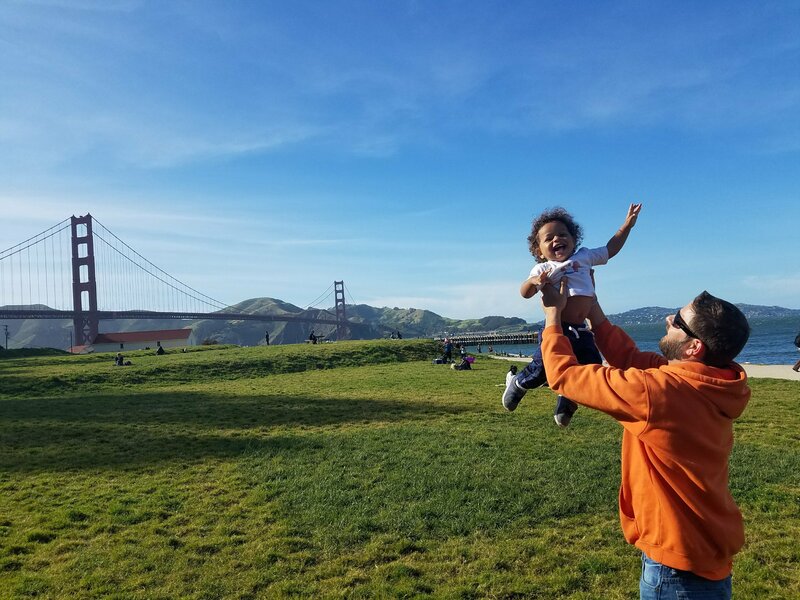 The Golden Gate Bridge is the focal point of the entire city. It has been in so many movies such as 9 Months (MY FREAKING FAVORITE), been animated in Big Hero 6 and been blown to bits in more movies than I can count! That view is incredible alll the time! There is a bus service that runs from the Embarcadero to the bridge OR you can also grab a ride share service such as Lyft of Uber to the location. Take a stroll across and snap as many instagram worthy photos you can!! 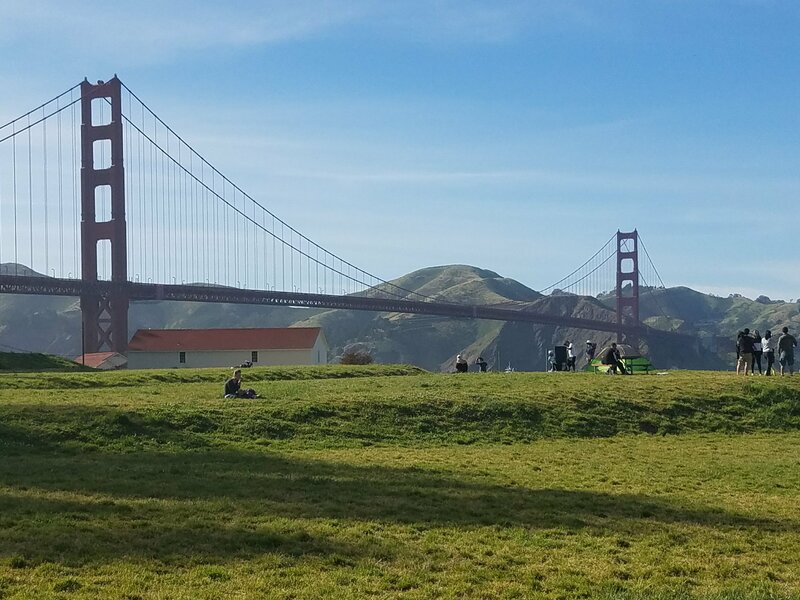 Our fun day picnicking under the Golden Gate! 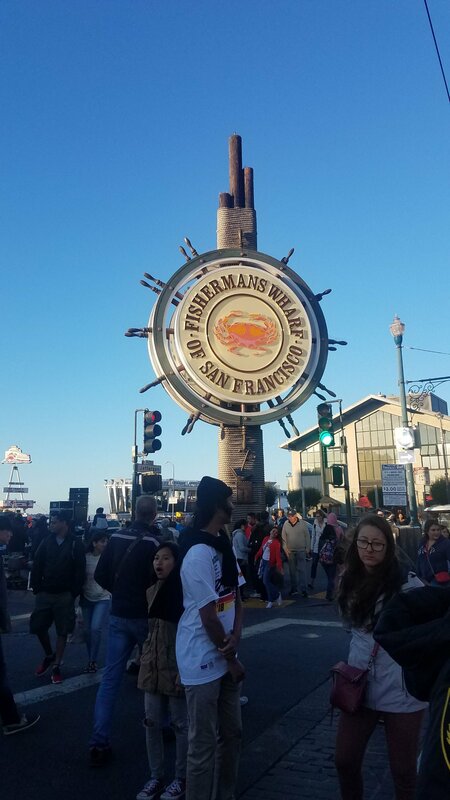 Located at the end of the Embarcadero is the ever so popular tourist spot Fisherman’s Wharf! 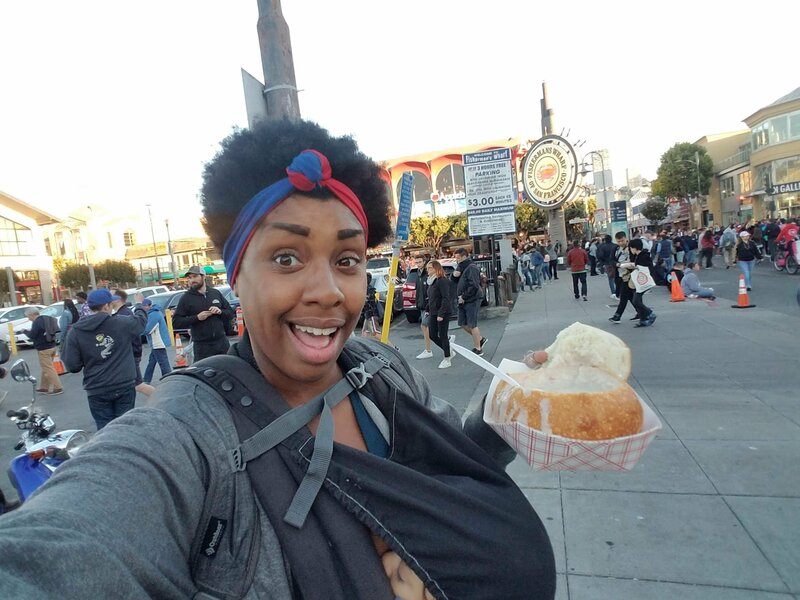 Here you can grab a cheap cocktail at Gold Dust Lounge or enjoy some delicious clam chowder in a bread bowl from one of the many vendors that are ready for business! 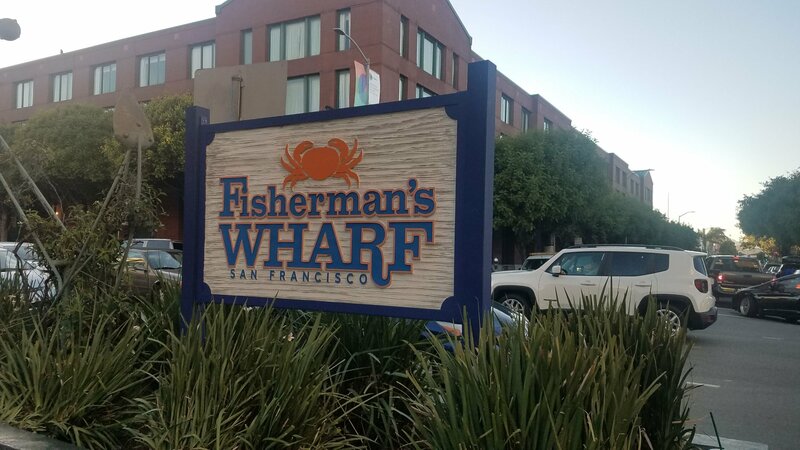 Oh man…best clam chowder right off the Wharf! I suggest to grab a whole dungeness crab while you are there to share with a friend (they are DAMN delicious with some drawn butter and lemon)! Named the crookedest street in the world, this windy and curvy road is an SF staple if you visit the city by the Bay! This steep one way road is adorned on either side with Victorian houses and has an amazing view of the Bay from the top. 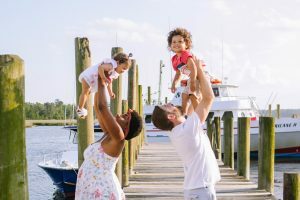 There are 8 hairpin turns from the top to bottom so take a drive down or enjoy the view with all the other tourists you will find here at this popular tourist destination! Located right across from Alamo Square park sits a row of Victorian and Edwardian historic houses. These beautiful houses are painted in bright colors that enhance the architectural structure and are truly a treasure to the eye. Pack a picnic and enjoy the view from the park with your friends! This beautiful pink structure was built in the 1900’s to showcase various exhibits of works of arts. Surrounded by a lagoon and various walkways for you to tread on, this popular wedding and engagement spot is a beauty on its own. Bring a packed lunch and take in the beauty it has to offer! 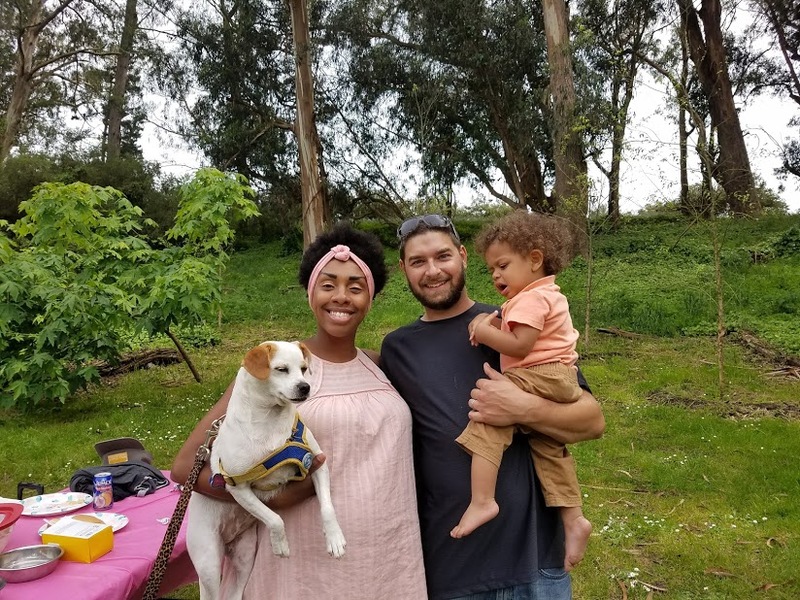 Enjoying a day at the park during my baby shower! Boasting more than 13 million visits a year, this HUGE expansive park has a carousel, 2 museums and an amazing conservatory of flowers. There is beauty in every corner of this massive open space and something to intrigue everyone. 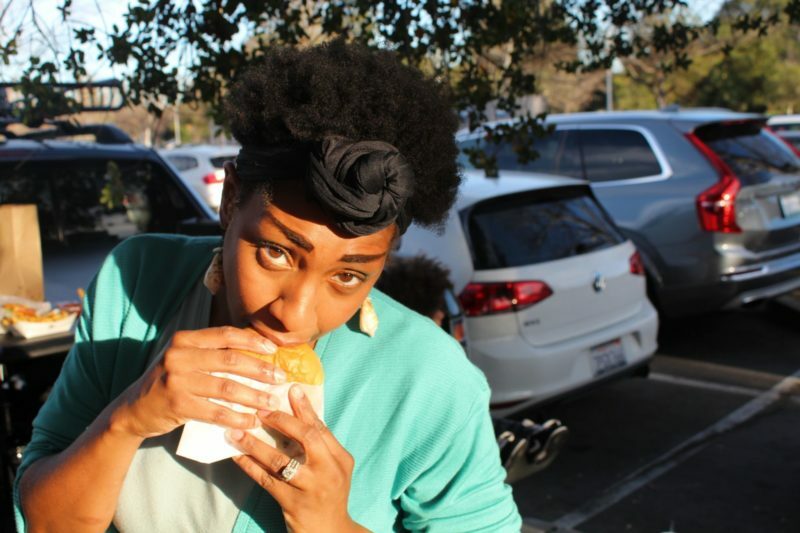 Grab some burgers, beers and a grill to enjoy a lunch or dinner while people watching your heart out! 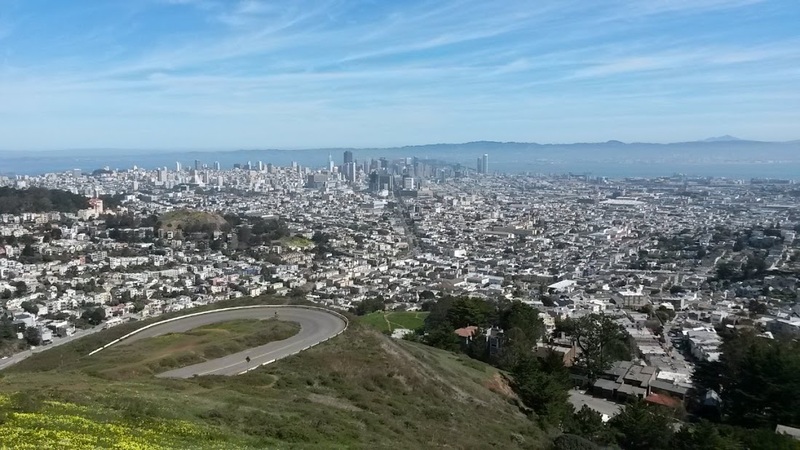 If you want an incredible view of the entire San Francisco Bay, Twin Peaks is for you! 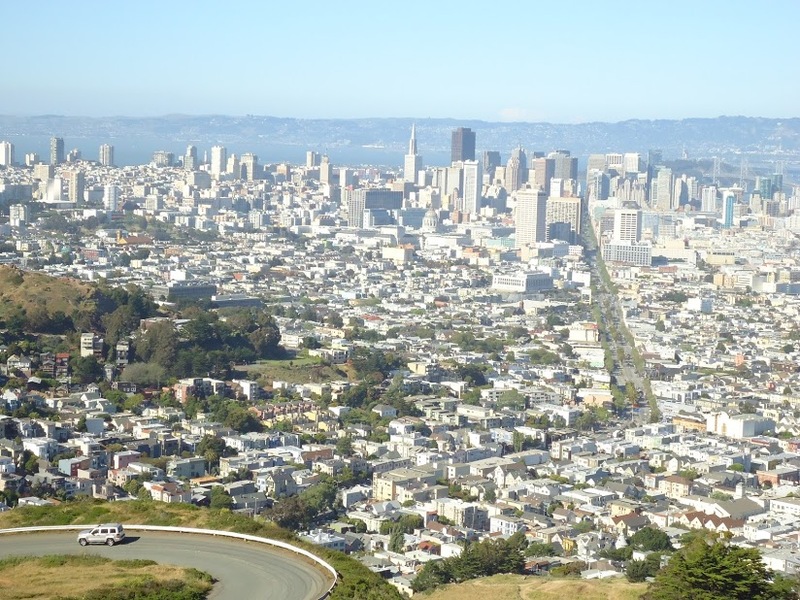 Sitting at 922 ft in elevation, it is the 2nd highest point in the city with a completely unobstructed view of San Francisco and Oakland. You can get the BEST photos here so do not pass this free opportunity up! How GLORIOUS is that view!? shortly after the 1989 earthquake that hit the city. 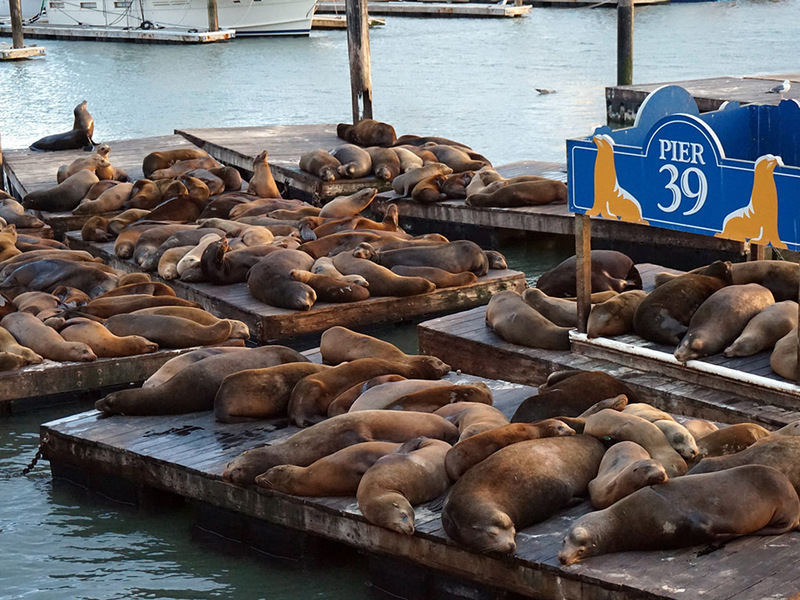 The adorable pups showed up in droves and completely took over the K-dock making them a San Francisco attraction for millions to see! 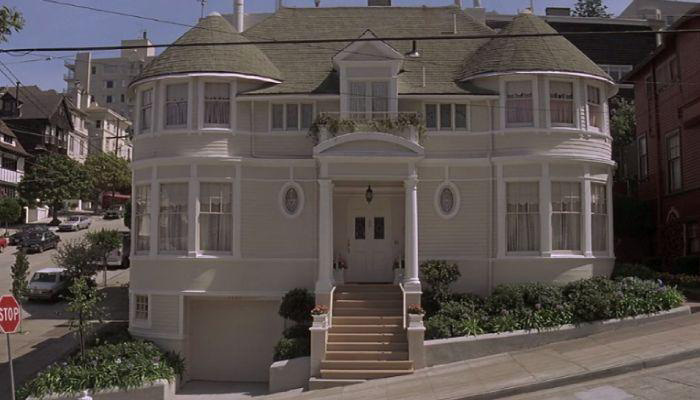 Located off of Steiner street, the ever so popular house where Robin Williams portrayed the lovable Mrs. Doubtfire can be visited! I love this movie so much and will forever remember the joy I got from watching Robin perform. Come by and snap a few photos for memorabilia. Tanner residence in all its glory! 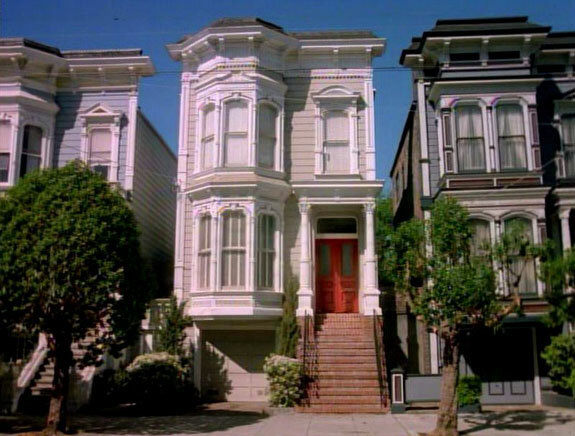 The last post is for all you fanatics of the show Full House! This 90’s family sitcom is a TV classic that everyone has seen at one point or another. You can get a piece of Hollywood royalty and pose like a celebrity out front. Note – The house is occupied by residents so please be respectful and treat the house as if it were your own. There you go! Now go out and explore this amazing city and all its wonder!! 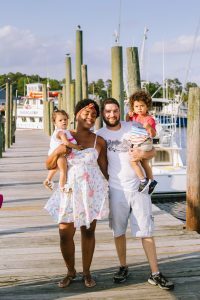 Previous Post Discover and Go Program = Free Museums!